Earthiness is where this coffee begins, with hints of herbs and cocoa in the aroma. The body is full, rich and smooth, matched well by the low flavor tones of nutty baker's chocolate and a hint of smoke. Soft notes of stone fruit and tangerine ebb and flow through the experience, paired with a simple sweetness like brown sugar. The finish is chocolatey with hints of dry nuts. 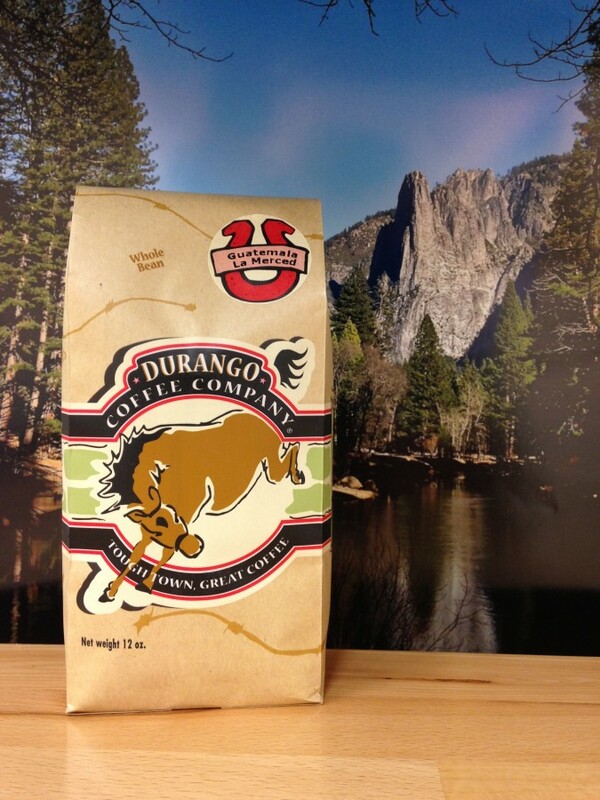 Durango Coffee Company has been roasting unique specialty coffees for over 31 years. We roast in small batches that focus on varietal, sweetness and balance. We hope you enjoy the unique journey around the world every morning when you experience coffee from Durango Coffee Company. Categories: Coffee Ratings. Origins: Guatemala. Flavors: Baker's Chocolate, Brown Sugar, Caramel, Chocolate, Dry, Full, Green Herb, Maple, Nutty, Rich, Smoky, Smooth, Spicy, Stone Fruit, and Tangerine. Brew Descriptors: Creamy, Malty, and Mellow. Roasters: Durango Coffee Company.